Live Life for what it is, with what is! Don’t try to overanalyze Life. Just take it as it comes. This is what I told a friend who wanted to know what’s the method I practice to live my Life with “so much equanimity in the midst of so much strife”. I added that there are no methods or mantras to live Life. Each one chooses a way and, over time, they keep reviewing, refining, reinventing that way till they come to the point where they are ‘just being’, they are immersed in the present moment, with no grief about the past and no expectations from the future or no anxieties about it. I simply smiled back. I am sure, over time, my friend too will discover that spirituality is deeply personal, simple and practical. It is not religion. Religion, as it is practiced today, has methods and mantras. It is ritualistic and holds you hostage, reminding you constantly that you must be God-fearing. Spirituality, on the other hand, is simple. It is merely the flowering of inner awareness. This awareness sets you free. This awareness helps you understand that all Life is impermanent, and that, therefore, you must not squander this lifetime. It champions living in the moment, ‘just being’ and celebrating Life! People often miss any spiritual perspective because they find ‘just being’ a very difficult thing to do. They want to be in control of Life. But ‘just being’ means sitting back and watching the magic and beauty of Life being in total control. So people see spirituality as ‘beyond’ them because they are so caught up in the quagmire of worry, anger, guilt, sorrow, suffering and the ‘earning-a-living’ syndrome. They have an ostrich-like mentality – their heads are buried deep in their ill-formed beliefs. Their minds are closed – although there’s so much grace, so much abundance, freely available, they are still focused on what they don’t have, steeped in scarcity. Kabir, the 15th century weaver-poet asked us to think: ‘What if a fish said it was thirsty?’ Wouldn’t that be the stupidest of situations? Won’t you tell the fish to go re-examine its brain? How can a fish be thirsty when it is always in water?’ Quite similarly, the human mind is being foolish by seeking peace outside and by not looking within. By not allowing this flowering of awareness to happen from within. So, you conclude that you can’t be at peace, you refuse to look within and choose instead to be enslaved by your self-imposed limitations. Only when the awareness within you blooms, only when you understand that you can be in control while controlling nothing, only then will you see the Master in yourself. This understanding is elusive because, while being profound, it is, at the same time, too simplistic. That’s why, it doesn’t come to everyone – especially when they are employing their education, their logic, in trying to make sense of Life. The truth is Life doesn’t conform to any framework or rules. Least of all your logic. Clearly, there are no methods or mantras to live Life. It is simple – and uncomplicated – when you unquestioningly accept its paradoxical, often inscrutable, nature. So don’t dissect or analyze Life – live it for what it is, with what is! Author AVIS ViswanathanPosted on October 11, 2016 October 11, 2016 Categories Equanimity, Inner Peace, Kabir, Life, Religion, Spirituality, UncategorizedTags Art of Living, AVIS Viswanathan, Don't Analyze Life, Earning a Living, Fall Like A Rose Petal, God-fearing, Happiness, Inner Peace, Intelligent Living, Just Being, Kabir, Living in the Now, Living in the Present, Power of Now, Religion, Ritualistic, SpiritualityLeave a comment on Live Life for what it is, with what is! Your ‘Mahamaham’ moment awaits you – not in Kumbakonam, but within you! A dip in a ‘holy’ river or tank can never ‘cleanse’ you. Pausing, reflecting and awakening alone can. A friend feverishly texted me on WhatsApp a few days ago. He’s close to me and believes that the financial challenges that my family and I are enduring, for close to a decade now, is directly related to my past karma– a ‘carry forward’ of sorts of ‘sins committed in a previous birth’. He furiously appealed to me I must make the pilgrimage to the Mahamaham tank in Kumbakonam and take a dip to ‘wash away all my bad karma, my sins’. “You will see an immediate change in your fortunes,” he insisted. I merely thanked him for his compassionate perspective and offered no justification for my choice not to accept his advice. 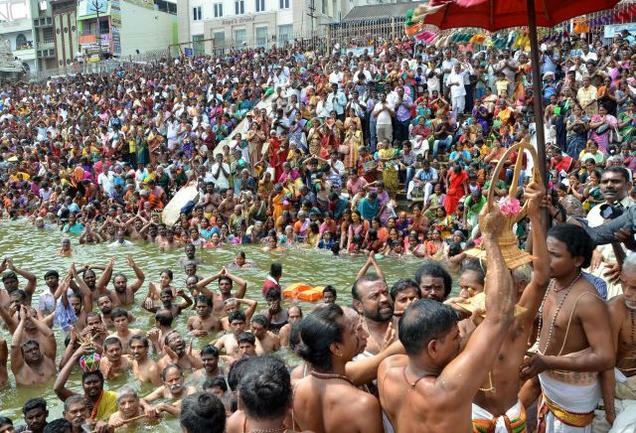 The Mahamaham is a Hindu festival that happens every 12 years in the Mahamaham tank in Kumbakonam, Tamil Nadu. I have no disrespect for the Mahamaham. Nor do I intend questioning its legend that’s drawing several millions in (what they think is) piety. Yet, I sincerely don’t believe a ritualistic dip, however ‘holy’ the site may be, can ever cleanse anyone. In his memorable 2003 classic, Anbe Sivam (Love is God), Kamal Hassan beautifully explains to his co-star Madhavan why the God within us – the Universal Energy that keeps us alive – must awaken for us to realize the magic and beauty of Life. That realization, to me, is the biggest awakening. And only an awakening from within can truly cleanse us. To be sure, there is a Mahamaham moment waiting for each of us – provided we are ready and willing to understand Life and have seeker’s, a student’s, attitude. And that moment need not be at a temple tank, where millions are crowding with a herd mentality, throwing personal and public hygiene to the wind! My own Mahamaham moment happened in my living room, some time in 2007, when I was having my favorite Royal Challenge whisky, and was utterly bored with two other things I was trying to do at the same time – swap channels on TV hoping to find something interesting and make sense of the English translation of the Sai Satcharita, a book on the Life and teachings of Shirdi Sai Baba. My search for something meaningful on TV drew a blank. And I soon turned it off. My family had long gone to sleep. Even as I poured myself another drink, I tried – but failed miserably – to understand what the Sai Satcharita was trying to say – it will easily rank as among the most horrible works of translation ever, from the original Marathi to English! I put the book away. And I thought deeply about what Shirdi Baba had taught the world in his lifetime. In a Eureka-like flash, it dawned on me that the two principles around which all his teachings were anchored are – Shraddha, Faith and Saburi, Patience. To face Life and to overcome the challenges that you are faced with, I realized that, you must keep the faith and learn to be patient. Over time, I employed this awakening very constructively, through my daily practice of mouna (silence periods), to understand the impermanence and inscrutability of Life. I learned that this is the only Life we have. And to live this Life well – and happily – we must train our mind to be in the present moment. In the now. I discovered that the way religion is practiced in the world today is that it encourages you and me to fear people (who peddle religion) than inspire faith in creation – that if you have been created without your asking to be born, then the same energy that created you will care for you, will provide for you. When there is fear, how can there be faith? When there is no faith, how can you be patient? That is, Kabir urges us to remove all impurities from our mind, from our thinking process, thus letting the light of divinity to shine forth. Truly, there is divinity in each of us. That divinity is suppressed, lying buried under layers and layers of grief, guilt, anger, fear and such debilitating emotions. This is why we are searching for God outside of us. This is why we are running to a Mahamaham. Seriously, you don’t need to wait for 12 years to scramble to a Mahamaham for cleansing yourself. Your Mahamaham moment awaits you if you can simply pause, reflect and awaken to the opportunity of cleansing your mind, of living in the now! Author AVIS ViswanathanPosted on February 24, 2016 March 14, 2016 Categories Anger, Divinity, Fear, God, Grief, Guilt, http://schemas.google.com/blogger/2008/kind#post, Inner Peace, Intelligent Living, Kabir, Kumbakonam, Mahamaham, Sai Satcharita, Shirdi Sai Baba, WorryLeave a comment on Your ‘Mahamaham’ moment awaits you – not in Kumbakonam, but within you! Pray in the buff if you like, who cares? Teri Marzi! Faith is deeply personal. It is a communion between the Source and you. Nobody and nothing, least of all, religion and law, can come in between you and your faith. I was amused reading in the papers this morning that the ruling of the Madurai Bench of the Madras High Court stipulating a dress code for visiting temples in Tamil Nadu has come into effect from yesterday. Obviously the new dress code has evoked mixed responses. The Hindu reports that devotees were “bemused and irritated, stopping just short of being outraged”. I am not surprised. I will not be surprised either if someone challenged this order. I do sincerely hope it is struck down. To be sure, Justice S.Vaidyanathan, who was concerned “over the use of improper clothes worn by many people visiting temples”, has stipulated that “men should wear a dhoti or pyjama with upper cloth or formal pants and shirts and women should wear a sari or a half-sari or churidhar with upper cloth,’ and for children, ‘any fully-covered dress’.” So, anyone coming in jeans and/or shorts will be denied entry to temples in Tamil Nadu. Similarly, sleeveless-tops, spaghetti-strapped tops, skirts and mini-skirts are a strict no-no. I was even more amused reading a fellow citizen’s view favoring the new dress code: “If clubs can have dress codes, why not temples?” With due respect to the honorable judge’s ruling and to those favoring this new system, I would like to invite attention to why we must not confound an already complicated situation. Really, to me, what matters is who you are – not what you wear or how you worship or who you pray to. I relate to this perspective fully. For someone like me, even going to a temple to worship, is a wasted exercise. I feel communion with the Source, the Higher Energy, that has created us and governs this Universe, can happen any time and any place. It saddens me, therefore, that we now have a dress code that dictates how you must show up to worship. But Tamil Nadu is not the first state to have this sartorial idea – some of Kerala’s temples have had, for years now, strict dress codes too. Besides, it is not only Hinduism that’s confused with rituality, division and protocol. Religion as a concept is all messed up. It has become a fear-mongering charade – anyone telling you that God will punish you or that something is a sin wants you to be scared. If you pause to think about it, God has never come forth and said, do this or don’t do this, God has not said be scared of me; yet every religion and every vendor of religious discourse insists on inducing fear. So the truth is that those who peddle religion dogmatically want you to be scared of them. Isn’t it tragic that you cannot celebrate your creation and be one with the Creator, whenever you want, wherever you want; and that you must be fearing rule(s) that religion’s peddlers want you to follow so that they can control you in the name of God? I must hasten to inform that I am not an atheist. In fact I like Swami Vivekananda’s (1863 ~ 1902) definition of an atheist: “Only the one who does not believe in himself or herself is an atheist.” I am not against religion either. But I refuse to practise religion the way (some) people expect me to practise it. Just like you, I too was created without my choice. Religion was imposed on me too, through family – it is therefore a human act. Whereas, to me, my creation, just as yours, is divine. So, the best way to celebrate the divine in me, is to communion with the Source, the Higher Energy, the way I want to – and when and wherever I want to. I owe this perspective to Kabir who has written these immortal lines – rendered here beautifully by the legendary Bhupinder – way back in the 15thCentury! Author AVIS ViswanathanPosted on January 2, 2016 March 14, 2016 Categories Art of Living, Dress Code for Temples, Faith, God, http://schemas.google.com/blogger/2008/kind#post, Inner Peace, Intelligent Living, Kabir, Religion, Spirituality1 Comment on Pray in the buff if you like, who cares? Teri Marzi! Unless we know when we worry, we will never be able to quit worrying. The key to being liberated from worry is to be aware. Being aware requires only being. Just being. Nothing else. There’s a perception, as a follower of this Blog commented the other day, that simply being is tough. No, it is not. Examine yourself. Most of the time you worry without even applying your mind. It is a mechanical affair going on in your head. What will happen to this? Or that? Will I get what I want? Will my child be happy? Will my spouse survive? What if something terrible happens and what I want done is not accomplished? It is an incessant chatter. A cacophony in your head. And one worry sparks off another and another. Often times, this becomes uncontrollable. And you seek remedy. Someone tells you to lean towards meditation. Someone else tells you to propitiate the Gods. 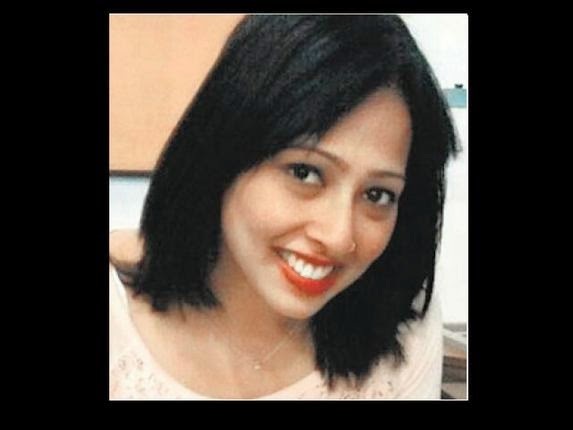 Someone again tells you to meet an astrologer or soothsayer or a tantric. Why? Because your mind refuses to listen to you. 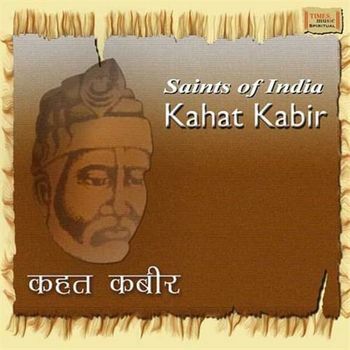 Kabir, the 16th Century, weaver-poet, says this so beautifully in his couplet! Meaning: Control the mind, not the beads or the words. That ability to control the mind will come only from your awareness. Awareness can be inspired in you by practicing silence. Spend an hour being silent every day. Just being. Read a passage. Write your thoughts in your personal journal. Do whatever you want, but remain silent and refuse to attend to anything that calls for you to disengage from what you plan to do in that hour. Don’t sleep. Don’t speak. Your hour of silence can make you super productive and aware during the other 23 hours in the day! So, it is good return on investment. This is the practice of ‘mouna’. To be sure, it will not eradicate worry. Worry will arise, but your awareness will cut off that flow of thought. It will arrest the worry in its tracks. And help you come back to focusing on whatever you are doing in the moment. Practicing ‘mouna’or silence periods bring you to appreciate the power of now! 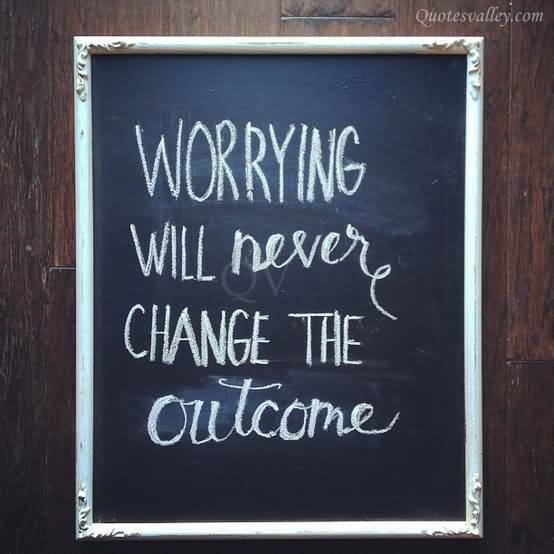 Remember, there is precious little you can do about what you worry about by simply worrying! You can either act on a situation and succeed, or act on a situation and if you fail, accept that outcome. Or just leave the situation to Life to sort things out over time. Why worry? And then, worse, why worry about your worrying? The bottomline is don’t worry about worrying. Focus on where that worry germinates, sprouts, takes root. Go to that point and stem the flow of worry. Author AVIS ViswanathanPosted on September 7, 2015 March 14, 2016 Categories Art of Living, Inner Peace, Intelligent Living, Kabir, Mouna, Non-worrying, Silence, Silence Periods, WorryingLeave a comment on Unless we know when we worry, we will never be able to quit worrying. Pause. Ask yourself four quick questions: 1. What am I rushing in Life for? 2. What security do I need in this Life to live doing what I truly love doing? 3. What am I praying for? 4. What is my deepest aspiration in Life? Understandably, these questions cannot be answered in a jiffy. But asking them doesn’t cost anything. On the contrary, it awards you with inquiry, grants you thinking that can transform your Life. But these are also uncomfortable questions. And so we don’t want to dwell on them. We prefer just rushing along with our daily lives __ continuing to work without joy, to live in fear, feeling frustrated and insecure. Every now and then, we turn to God, demanding that our financial, emotional and physical problems be solved. With some element of probability coming in to play, when our prayers are granted, we thank God. When they go unanswered, we blame God. So, stop running. Stop searching. Stop seeking. Stop fearing. Start living. Live in Faith. You will find meaning in your Life. And, ah, yes, you will also find the answers to the four questions above! When you answer those questions, you will find joy filling your Life!!! Learn to flow with Life. Life is like a river. It has a mind of its own. It does not worry about precipice or a fall, nor is it perturbed by the boulders on the path. A crevice is all it needs, to make progress and find its way. The best we can do, as people who have been created without our asking to be born, is to enjoy the scenery as Life flows. When we don’t like what we see or experience, we can rave, rant, kick our feet, bury our heads in despair, but Life goes on – the way it wants to, not the way we wish it would! Such is the nature of Life. The only sensible option is to learn to appreciate the reality, accept it and to live with it. 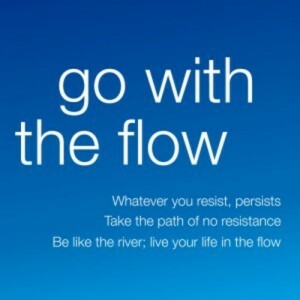 Flow with Life. And you will find peace and joy overflowing from within you!